...Return to ... Elizabeth Harvey and David Crowden ..
1-Convict Charles Croden was born in 1822 in Taunton, Somerset, England, died on 7 May 1905 in Deloraine, Tasmania at age 83, and was buried in Deloraine General Cemetery. Charles married Catherine Burnie, daughter of Robert Birnie, in 1851 in Port Sorell. Catherine was born in 1831 in Donegal, Ireland and died in Dec 1913 in East Devonport, Tasmania at age 82. 2-Charles Alexander Crowden was born on 21 Nov 1851 in Port Sorell and died on 28 Jul 1928 in Chudleigh, Tasmania at age 76. Charles married Jane Sherriff, daughter of Humphrey Sherriff and Lucy Smith, on 23 May 1877 in Deloraine, Tasmania. Jane was born on 10 Nov 1854 in Exton, Tasmania and died on 23 Nov 1921 in Deloraine, Tasmania at age 67. They had five children: Linda Elise Alexia, Charles Humphrey Percival, Alexandra, Lucy Kate and Alexander. 3-Linda Elise Alexia Crowden was born on 11 Oct 1878 in Exton, Tasmania and died on 13 Jun 1962 in Wynyard, Tasmania at age 83. Linda married John Turner Wilson on 11 Oct 1899 in The Needles, Tasmania. John was born on 28 Jun 1876 in Caveside, Tasmania and died on 22 Feb 1953 in Wynyard, Tasmania at age 76. 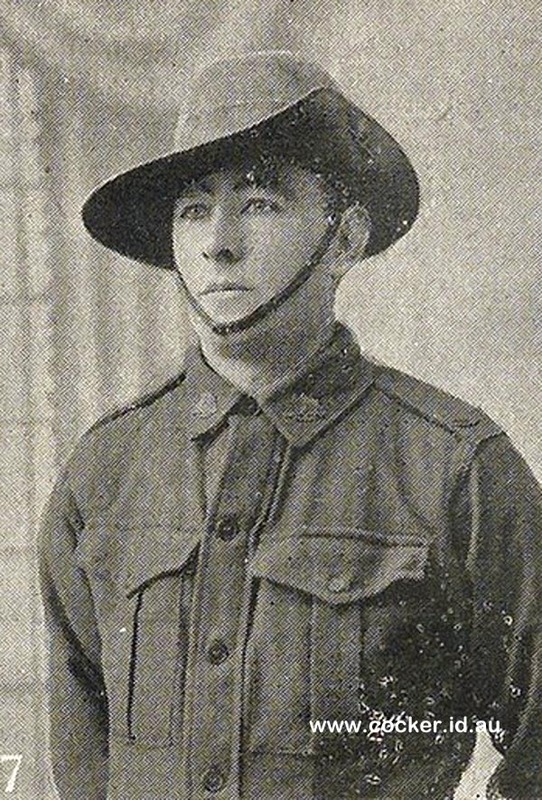 3-Charles Humphrey Percival Crowden was born in 1881 in Deloraine, Tasmania and died on 11 Oct 1970 in Tasmania at age 89. Charles married Irene Beatrice Victoria Skipper, daughter of James Joseph Skipper and Emma Beckett, on 13 Aug 1908 in St John's Church of England, Launceston. James Skipper was the son of convict ↑Jonathon Skipper and Mary Marttin. Irene was born on 30 Sep 1889 in Liffey, Tasmania and died on 22 Jul 1971 in Tasmania at age 81. They had five children: Olive May, Gladys Jane, Frank Arthur, Joyce Emma and Jessie Eva. 4-Olive May Crowden was born on 12 Jul 1907 in The Needles, Tasmania. 4-Gladys Jane Crowden was born on 29 Nov 1911 in The Needles, Tasmania. 4-Frank Arthur Crowden was born on 15 Jul 1914 in Chudleigh, Tasmania. 4-Joyce Emma Crowden was born on 1 Jan 1917 in Lietinna, Tasmania. 4-Jessie Eva Crowden was born on 14 Apr 1919 in Lietinna, Tasmania. 3-Alexandra Crowden was born on 9 Jul 1885 in Westbury, Tasmania and died on 22 Jun 1970 at age 84. 3-Lucy Kate Crowden was born on 4 Oct 1888 in Eton and died on 25 Mar 1966 in Mole Creek at age 77. Lucy married Alfred Howe, son of James How and Katherine Bott, on 18 Dec 1912 in The Needles, Tasmania. Alfred was born on 3 Jun 1888 in Mole Creek and died on 4 Nov 1973 in Launceston at age 85. They had five children: Luci, Douglas Raymond, Avadne Jane, Zaphne Muriel and Esby Winifred. 4-Luci How was born in 1913 and died in 1913. 4-Douglas Raymond How was born on 4 Mar 1915 in Mole Creek, died on 27 Jul 1990 in Mole Creek at age 75, and was buried in 1990 in Mole Creek lawn Cemetery. 4-Avadne Jane How was born on 1 Feb 1917 in Mole Creek and died in 2000 in Wynyard, Tasmania at age 83. Avadne married Ernest C. Parker. Ernest was born in 1914 in Latrobe and died in 1981 in Burnie, Tasmania, Australia at age 67. 4-Zaphne Muriel How was born on 1 May 1922 in Mole Creek, died on 24 Apr 1988 in Launceston at age 65, and was buried in 1988 in Mole Creek lawn Cemetery. 4-Esby Winifred How was born on 11 Oct 1929 in Deloraine, Tasmania and died on 4 Jan 1994 in Burnie, Tasmania, Australia at age 64. Esby married Charles Lennox Dane. Charles was born on 2 Jul 1926 in Bombay, India and died on 13 Jan 2002 in Burnie, Tasmania, Australia at age 75. 3-Alexander Crowden was born about 1890. 2-William Crowden was born on 18 Sep 1853 in Port Sorell and died on 25 Jan 1928 in Deloraine, Tasmania at age 74. William married Martha Hannah Hunter on 28 Jan 1879 in Deloraine, Tasmania. Martha was born on 2 Mar 1855 and died on 26 Jun 1933 at age 78. They had ten children: William Charles, Martha Hannah, James Hunter, John Molyneux, Maurice Birchall, Job Cartwright, Annie Maria, Edwin Burnie, Arthur Robert and George Arthur. 3-William Charles Crowden was born on 6 Jan 1880 in Deloraine, Tasmania and died on 1 Mar 1926 in Ballarat, Victoria at age 46. 3-Martha Hannah Crowden was born on 14 Aug 1881 and was christened in Deloraine, Tasmania. Martha married Horace Arthur Lee on 19 Dec 901 in Meander, Deloraine. 3-James Hunter Crowden was born on 12 Feb 1883 in Deloraine, Tasmania. James married Barbara Jane Butler. They had four children: Mary Martha, George William, Annie Emma and Louisa Ivy. 4-Mary Martha Crowden was born on 20 Jul 1913 in Western Creek, Tasmania. 4-George William Crowden was born on 14 Feb 1915 in Western Creek, Tasmania. 4-Annie Emma Crowden was born on 18 Feb 1917 in Western Creek, Tasmania. 4-Louisa Ivy Crowden was born on 7 Nov 1918 in Western Creek, Tasmania. 3-John Molyneux Crowden was born on 25 Mar 1885 and died on 2 Nov 1943 at age 58. 3-Maurice Birchall Crowden was born on 10 Nov 1886 and died on 6 Dec 1943 in Ulverstone, Tasmania at age 57. Maurice married Lillian Eileen Gillard on 12 Jan 1910 in Deloraine, Tasmania. Lillian was born about 1890. They had five children: Arthur Maurice, Madge May, Amy Beatrice, Jean and Max William. 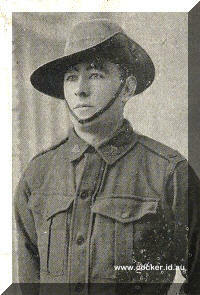 4-Arthur Maurice Crowden was born on 7 Dec 1910 in Deloraine, Tasmania and died on 20 Jan 1911 in Deloraine, Tasmania. 4-Madge May Crowden was born on 25 Jan 1912 in Deloraine, Tasmania. 4-Amy Beatrice Crowden was born on 4 Jun 1914 in Deloraine, Tasmania. 4-Jean Crowden was born on 10 Apr 1916 in Tower Hill Street, Deloraine. 4-Max William Crowden was born on 16 Dec 1918 in Sheffield. 3-Job Cartwright Crowden was born on 9 Jul 1888 in Deloraine, Tasmania and died on 18 Feb 1939 in Sheffield at age 50. Job married Ruby Gordon Harding, daughter of William Henry Harding and Adeline Winwood, on 17 Jul 1912 in Blackmoor, Deloraine. Ruby died in 1963 in Sheffield. They had five children: Kathleen Mary, Norman Roy, Douglas Job, Rita May and Frances Gwendoline. 4-Kathleen Mary Crowden was born on 2 Jun 1913 in Deloraine, Tasmania. 4-Norman Roy Crowden was born on 16 Apr 1914 in Deloraine, Tasmania. 4-Douglas Job Crowden was born on 17 Jun 1915 in Deloraine, Tasmania and died on 16 Feb 1916 in Deloraine, Tasmania. 4-Rita May Crowden was born on 5 Jul 1916 in Deloraine, Tasmania and died on 30 Apr 1995 in Burnie, Tasmania at age 78. Rita married Roland Archie Morey, son of Archie Manton Hedley Morey and Ada Mary Cocker. Roland was born on 13 Feb 1914 in Lower Barrington, Tasmania and died on 16 Oct 2002 in Spreyton, Tasmania at age 88. They had five children: Jennifer Anne, Judy, Robin, Peter and Paul. 5-Paul Morey was born on 5 Jul 1945 in Devonport, Tasmania and died on 6 Jul 1945 in Devonport, Tasmania. 4-Frances Gwendoline Crowden was born on 4 Apr 1918 in Sheffield. 3-Annie Maria Crowden was born on 22 Oct 1889 in Deloraine, Tasmania and died on 27 Oct 1979 at age 90. Annie married William Edward Blazely, son of William Blazely and Rebecca French, on 31 Jan 1911 in Deloraine, Tasmania. William was born on 30 Oct 1883 and died on 25 Apr 1950 at age 66. 3-Edwin Burnie Crowden was born on 22 Aug 1892 in Deloraine, Tasmania and died on 21 Sep 1953 at age 61. Edwin married Elizabeth Harding on 23 Sep 1915 in Blackmoor, Dunorlan, Tasmania. They had two children: Bruce Edwin and Charles William Victory. 4-Bruce Edwin Crowden was born on 3 Aug 1917 in Dunorlan, Tasmania. 4-Charles William Victory Crowden was born on 11 Nov 1918 in Bowerbank, Deloraine, Tasmania. 3-Arthur Robert Crowden was born on 22 Dec 1893 and died on 9 Mar 1894 in Deloraine, Tasmania. 3-George Arthur Crowden was born on 27 Jun 1895 in Deloraine, Tasmania. George married Edith May Dunham, daughter of Charles Cox Dunham and Ellen Carr, on 21 Apr 1920 in St. Pauls Church, East Devonport. Edith was born on 14 Mar 1897 in Deloraine, Tasmania. They had one son: William Charles. 4-William Charles Crowden was born about 1926. William married someone. She had one daughter: Kim Maree. 5-Kim Maree Crowden was born on 1 Dec 1961. Kim married Andrew John Thompson, son of Ronald Lawrence Thompson and Ruth Margaret McHugh, on 2 Apr 1983. Andrew was born on 3 Aug 1961. They had two children: Dayne Andrew and Keisha Kathleen. 6-Dayne Andrew Thompson was born on 23 Jul 1984. Dayne married someone. He had two children: Shontai-Lee Amy and Alicia Maree. 2-Samuel Croden was born on 27 Sep 1855 in Westbury, Tasmania and died on 24 Aug 1922 in Longford, Tasmania at age 66. Samuel married Louiza Hawkins, daughter of John Hawkins and Rebecca Birnie, on 14 Apr 1880 in Deloraine, Tasmania. Louiza was born on 31 Aug 1859 in Deloraine, Tasmania. They had nine children: Florence Rebecca, Bertha Emma, Ethel Alice, Bernard Samuel, Edgar James, Donald Joseph, Lindsey Leslie, Reuben Wilfred and Amy Louisa. 3-Florence Rebecca Crowden was born on 18 Mar 1881 in Longford, Tasmania. 3-Bertha Emma Crowden was born on 8 Nov 1882 in Longford, Tasmania. Bertha married James Charles Collins, son of Henry Beale Collins and Frances Theodora, on 6 Aug 1910 in Methodist Church, Invermay. James was born in 1875 in Yokahoma, Japan and died in Launceston. They had one son: Donald John. 4-Donald John Collins was born on 6 Feb 1921 in Launceston and died on 17 Mar 2008 in Launceston at age 87. Donald married Hilda Joyce Griffiths. Hilda was born on 12 Feb 1922 and died on 28 Nov 1973 in Melbourne, Victoria at age 51. 3-Ethel Alice Crowden was born on 29 Feb 1884 in Deloraine, Tasmania and died on 8 Apr 1918 in Caveside, Tasmania at age 34. Ethel married Stanley Cornelius Proctor, son of Samuel Cornelius Proctor and Clara Maria Jacobson, on 24 Jan 1912 in Launceston. Stanley was born on 22 Oct 1887 in Launceston. 3-Bernard Samuel Crowden was born on 20 Nov 1885 in Deloraine, Tasmania. 3-Edgar James Crowden was born on 25 Dec 1887. 3-Donald Joseph Crowden was born on 29 Apr 1892. 3-Lindsey Leslie Crowden was born on 23 May 1895 in Deloraine, Tasmania and died on 7 Jun 1917 in France at age 22. Lindsey served in the First World War. 3--Reuben Wilfred Crowden was born on 27 Jan 1898 in Deloraine, Tasmania and died on 4 Jun 1904 in Caveside, Tasmania at age 6. 3-Amy Louisa Crowden was born on 29 Dec 1899 in Caveside, Tasmania and died on 10 Jan 1907 in Caveside, Tasmania at age 7. 2-Edward Croden was born on 7 Mar 1858 in Deloraine, Tasmania. 2-David Crowden was born on 6 Nov 1859 in Deloraine, Tasmania, died on 11 Jan 1923 at age 63, and was buried in Mole Creek Public Cemetery. David married Elizabeth Harvey, daughter of James Harvey and Janet Brownlie, on 24 Nov 1885 in Westbury, Tasmania. Elizabeth was born on 14 Feb 1860 at sea on the Indiana from Scotland to Australia, died on 1 Jul 1939 in Mole Creek at age 79, and was buried in Mole Creek Public Cemetery. They had six children: Jane, Kate, Arthur Harvey, Gordon Bruce, Harry Alexander and Janet Brownlee. 2-Arthur Crowden was born on 26 Dec 1861 in Deloraine, Tasmania. Arthur married Elizabeth Scanlan, daughter of James Scanlan and Catherine Briscoe, on 16 Aug 1899 in Deloraine, Tasmania. Elizabeth was born on 5 Apr 1876 in Deloraine, Tasmania. They had one son: Andrew James. 3-Andrew James Crowden was born on 20 Apr 1903 in Chudleigh, Tasmania. 2-Anne Jane Croden was born on 20 Nov 1863 in Deloraine, Tasmania. Anne married James Taylor, son of James Taylor and Ann Sach, on 23 Nov 1887 in Baptist Church, Deloraine, Tasmania. James was born on 2 Apr 1864 in Longford, Tasmania, died on 27 Feb 1933 in East Devonport, Tasmania at age 68, and was buried on 28 Feb 1933 in Western Creek, Tasmania. 2-Elizabeth Crowden was born on 21 Jan 1869 in Deloraine, Tasmania. Elizabeth married Arthur James Samuel Ashdown, son of John Ashdown and Easter Yates, on 2 Dec 1890 in Deloraine, Tasmania. Arthur was born on 6 Aug 1866 in Deloraine, Tasmania and died on 22 Jul 1926 in Chudleigh, Tasmania at age 59. They had two children: Ruby Pearly and Arthur Dallas. 3-Ruby Pearly Ashdown was born on 1 Jan 1894 in Deloraine, Tasmania. Ruby married Allan David Brumby, son of James William Brumby and Susanna Pitt, on 1 Aug 1917 in Chudleigh, Tasmania. Allan was born on 5 Jun 1882 in Longford, Tasmania and died on 21 Mar 1958 in Devonport at age 75. 3-Arthur Dallas Ashdown was born on 18 Mar 1896. Arthur married Ivy May White on 17 Nov 1920 in Glenorchy, Tasmania. 2-George Henry Croden was born on 12 Feb 1872 in Deloraine, Tasmania and died in Apr 1942 in Launceston at age 70. George married Lucy Ann Phillips, daughter of Albert Phillips and Beattie Traill, on 10 Jan 1900 in Latrobe. Lucy was born on 7 Jan 1874 in Carlton, Melbourne, Victoria and died on 23 Sep 1956 in Launceston at age 82. They had eight children: George, Vera Georgina, Beattie Kate, Ivy Jean, Amy Lillian, Roy Burnie, Charles Thomas and Mary Lucy. 3-George Crowden was born on 17 Jan 1900 in Gilbert Street, Latrobe, Tasmania. 3-Vera Georgina Crowden was born on 17 Dec 1900 in Latrobe. Vera married Richrd Eric Butler on 16 Nov 1926 in St John's Church of England, Launceston. 3-Beattie Kate Crowden was born on 22 Mar 1903 in Deloraine, Tasmania. 3-Ivy Jean Crowden was born on 3 Aug 1905 in Latrobe. 3-Amy Lillian Crowden was born on 12 Sep 1907 in Ulverstone, Tasmania and died on 5 Nov 1978 in Burnie, Tasmania, Australia at age 71. Amy married Harry Croydon on 30 Apr 1926 in Invermay, Launceston. Harry was born on 23 Jan 1903 in Zeehan, Tasmania and died on 23 Jul 1966 in Launceston at age 63. 3-Roy Burnie Crowden was born on 6 Apr 1910 in Ulverstone, Tasmania and died on 19 Nov 1910 in Ulverstone, Tasmania. 3-Charles Thomas Crowden was born on 3 Sep 1911 in Ulverstone, Tasmania. 3-Mary Lucy Crowden was born on 22 Mar 1914 in West Devonport, Tasmania. 2-Clara Croden was born on 28 May 1874 in Deloraine, Tasmania. Clara married Frederick George Archer, son of George Archer and Mary Ann Thompson, on 1 Nov 1895 in Mersey, Devonport. Frederick was born on 7 Sep 1867 in Don, Tasmania and died on 27 Sep 1924 in Don, Tasmania at age 57.